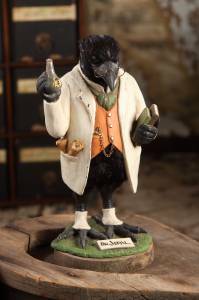 Dr. Jekyll and Mr. Hyde Halloween crow characters give a new twist to this classic horror tale. Figures are hand-sculpted and hand-painted with real feather accents. Each figure is 10" tall.